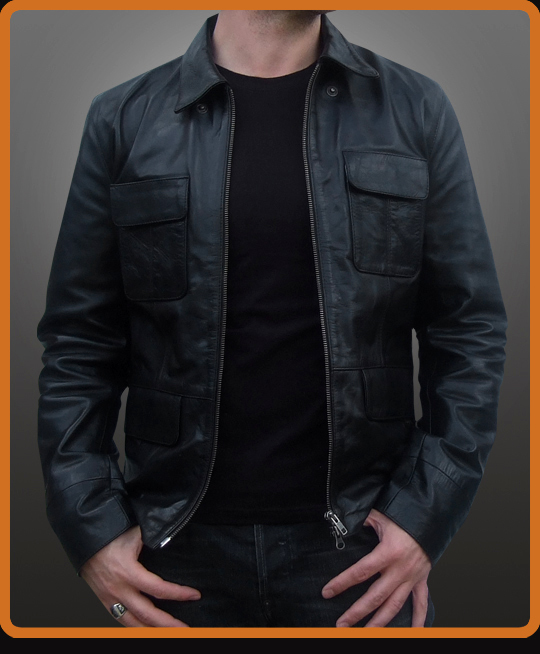 Black leather jacket replica from The Vampire Diaries television series. Inspired by Damon Salvatore character portrayed by Ian Somerhalder. Hip length leather jacket features sleek, designer styling. Collar snaps, top patch pockets and lower flap pockets, two-way zipper, back seamed sleeves. Back yoke and flattering fitted lower torso. Closely matches jacket worn by Damon, so you too steal hearts. Just don't tear them from chests like Damon tends to do.